Check out the winter market at Public Assembly! 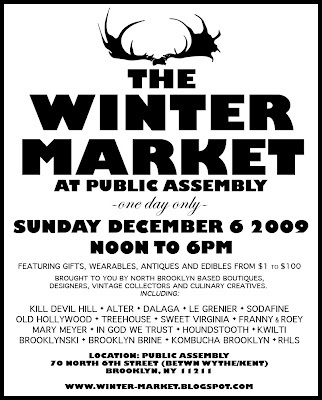 We are participating with some of my favorite Greenpoint and Williamsburg boutiques! Big thanks to the folks at Kill Devil Hill for being just spectacular. We are all keeping the merch under $100 too! Check out the Winter Market Blog to see who's bringing what!